You have found mold in your home. The question is what to do about this problem. The worst thing you can do is nothing. Our mold experts in Sylvania, Ohio will take an honest look at your mold problem and recommend solutions that will fit your lifestyle and budget. Here is a look at the cost, why mold occurs in the first place and why mold remediation is the best approach. It will cost money to remove mold from your home yet this cost pales in comparison to the toll untreated mold will take on your home and your health. There is no sense trying DIY mold removal methods that are not guaranteed to eliminate the problem when you can let our experts get the job done right. We have extensive experience in the Sylvania and Northwest Ohio area. The cost hinges on the size of your property as well as a number of other factors. In general, mold remediation costs more for larger homes as multiple samples must be taken. Once the assessment is complete, you will be provided with a quote. 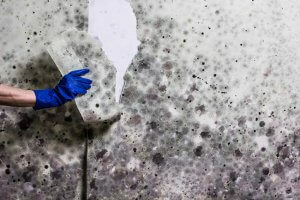 For the most part, mold remediation tends to run between $300 and couple thousand dollars. What matters most is how large the area infected by the mold is and the extent to which the mold has damaged your Sylvania area home or business. The cost partially depends on the number of samples required. Even the type of testing required to identify mold impacts the cost. Such testing can be influenced by the extent of the mold infestation. Swab testing from the surface of the area in question usually costs a couple hundred dollars or more. Air cell testing that collects air samples is in the same price range. If you hesitate to spend the money required for such testing and removal, consider the impact mold can have on your health and your home. You might end up missing time at work due to mold-induced sickness, shortness of breath or allergies. Furthermore, mold damage in your Sylvania, Ohio area home or business has the potential to threaten its structural integrity and decrease its market value. In order for mold to grow in your home, there must be mold spores, oxygen, moisture, darkness, a source of food and time for growth. Every home has drywall, wood and/or cotton so mold certainly has enough to consume. Insufficient ventilation combined with humidity heightens the risk for mold. A lack of ventilation forms pockets of wet air that remains in place. This is the perfect set of conditions for mold to grow. Leaky pipes and a leaky roof will also cause mold to grow in due time. As soon as leaks are discovered, mold will have already grown. Even flooding that took place years before you moved into the home can cause mold. Mold requires a surface to remain wet for a day’s time before it can spread so there is a major risk for mold growth in areas that have remained moist for an extended period of time. 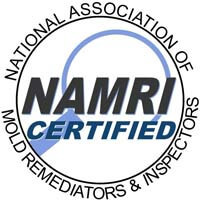 Mold remediation begins with an in-depth inspection of your Sylvania, Ohio home or business. Let our team of mold inspection and testing experts identify the areas in which mold has spread, find the cause of the problem and eliminate it. We have extensive experience in the Sylvania and Northwest Ohio area. It is not enough to simply remove the visible mold. The optimal approach is to determine the root cause of mold growth, address that issue and take steps to prevent additional mold growth. Mold & Air Quality Professionals will also remove those ugly mold markings. It does not matter if mold is on wood, grout, tile, walls, siding or any other surface. We will contain the remaining mold to prevent it from spreading. This is the strategic approach necessary to trap all mold spores and return your home to the safe and clean environment you expect. If you have mold in your home, it is time to take action. 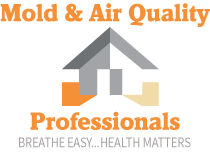 Mold & Air Quality Professionals will evaluate your mold problem and provide a free quote. Our assistance has the potential to save you thousands of dollars in the long run. 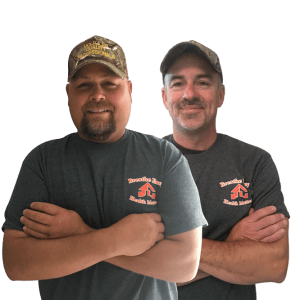 Give us a call at (734) 755-3457 if you live in the NW Ohio or SE Michigan area. Those who live in central or NW Michigan can reach us at (231) 679-2622.